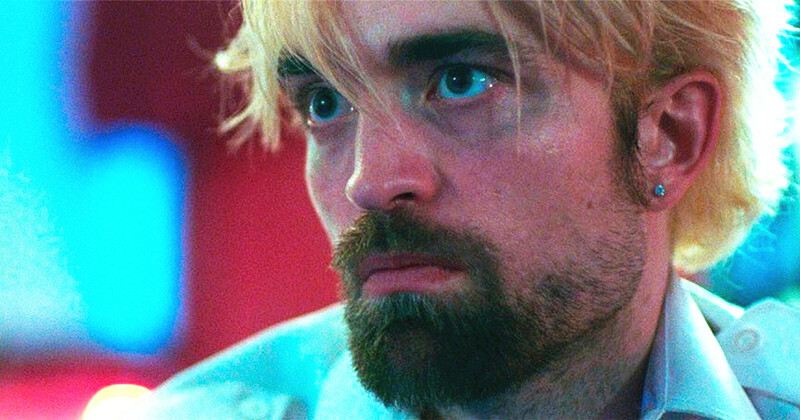 2017 provided many under the radar gems which were not included among the films discussed during awards season but were among the best films of the year nonetheless. The following is a list of some of these great films that may have been missed by many during the year. Writer-director Matt Spicer made his film debut with 2017’s Ingrid Goes West. This Instagram influenced film stars Aubrey Plaza as Ingrid, a young woman who cashes in on her recent inheritance and heads to Los Angeles to befriend a woman she comes across in a magazine article. What follows can be considered a black comedy about a stalker; but can also serve as a warning of the pitfalls of the society we live in now, spending time on social media scrolling through others online life and how that reflects on us and our relationships. 2017’s Thelma delves into various film genres including fantasy, romance, and mystery; all brought to us by way of Norway. The film stars Eili Harboe as Thelma, a sheltered religious girl who leave home for the first time to begin her freshman year at a university. At school Thelma begins an unexpected friendship with a fellow student which causes suppressed emotions to take over and telekinetic powers to emerge. Thelma soon investigates the mystery of her own past as the image of her father taking aim at her with a rifle earlier in the film continues to haunt the viewer. The film can be scary at times, evoking an allegory to the horrors of growing up and the power of self-actualization and independence. Thelma received several critics association award nominations for Best Foreign Language Film in 2017, ending up on many critics list of the top films of the year. Hungarian film On Body and Soul tells a love story is the most unlikely of places, a slaughterhouse. After a theft at the factory a psychologist questions each worker and discovers that two individuals, Endre and Maria are sharing the same dream. After the realization the two introverts begin a friendship and potential romantic relationship, phoning each other before they go to bed and telling each about their dream the next day. The film is a testament to the excitement and awkwardness of newfound love, and has many weird, and even sad moments to it. On Body and Soul won the Golden Bear at the Berlin Film Festival and was nominated for a Best Foreign Language Film Oscar at the 2018 Academy Awards. On Body and Soul is currently available for watch on Netflix. Portugal’s The Ornithologist may have been one of the most unique films from 2017. The film begins as bird watcher Fernando ventures onto a river looking for endangered storks; and comes upon a couple of Chinese missionaries who are traveling through the woods nearby. The adventure begins from there as Fernando’s journey will become allegorical with the interactions he has. The film continues a mysterious quality throughout, and there is always something to consider as each scene becomes stranger and stranger. The Ornithologist may not be a film for everyone as there is no clear answers to the films premise, but the ride to the end is unique and entertaining. 2017’s Nocturama can be broken out in two parts; the first following a group of young adults as they prepare to carry out a series of attacks in Paris, and the second as the same group hides out in a department store during the night after the attack. The young adults appear to range from France’s ostracized immigrant population to elite upper-class society. The motivation behind the terror attacks are never mentioned in the film, rather the film focuses more towards the feelings of the characters during the before and after of the event. Despite not receiving much information regarding the purpose of their acts, the film gives an emotional attachment to the terrorists, and by the end the viewer may find an unanticipated understanding of their actions. Nocturama is currently available to watch on Netflix. 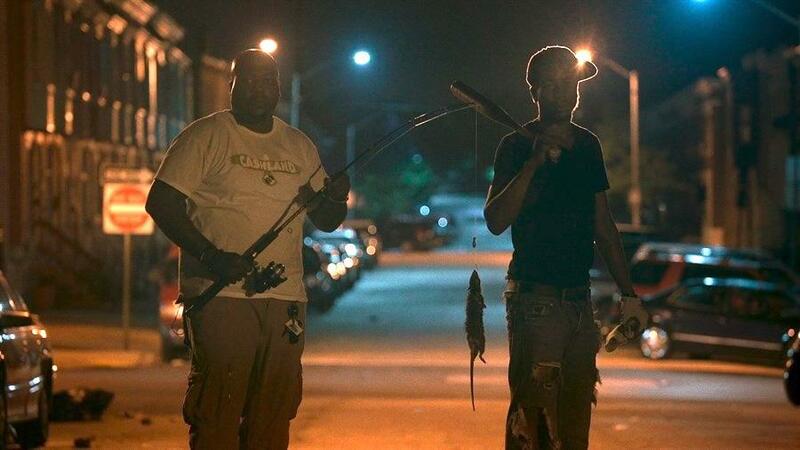 Director Theo Anthony’s first documentary feature Rat Film gives an unusual and insightful look into how the city of Baltimore, Maryland has dealt with an ongoing rat problem and how the city’s history of systemic racism and economic inequality has contributed to it. The film provides a look into the city’s urban planning with sequences describing the layout of Baltimore; and outlining the various ordinances regarding neighborhood borders that enforced segregation. We learn what causes rat infestations, and what their presence signifies. Memorable scenes in Rat Film include a look into some residents who spend their nights “rat-fishing” using fishing poles and bait designed to draw rats out for the kill. Rat Film is a documentary that you may find sticking with you long after the film has finished and is currently available to view on Youtube.com. 2017’s Columbus derives its title from the small Indiana city known for many buildings designed by notable modernist architects. The film’s two main characters are limbo, Jin’s (John Cho) father is in a coma and cannot be moved from the local hospital, and Casey (Haley Lu Richardson) feels obligated to stay in town to watch over her mother who is a recovering drug addict. The movie’s locale is essential to its mood, but also to its story and characters. Casey takes Jin around town, showing him her favorite buildings. Director Kogonada places these characters against striking backdrops of sculptures, walls, and towers with varying angles of approach. Columbus is a quiet, yet emotional film which embraces a spirit of independence which feels rare in modern American cinema. 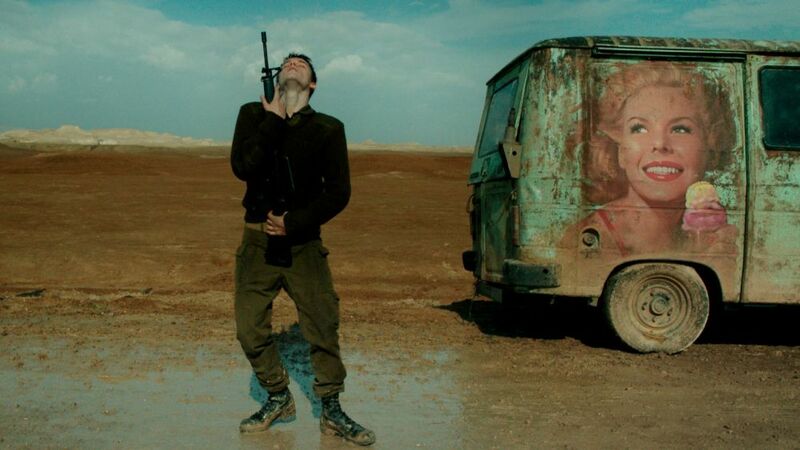 The beginning of Foxtrot shows us a couple who are being informed that their son Jonathan, a corporal in the Israeli Army, has been killed on active service. The family is crushed, and the film goes into detail of the coming hours and days as they attempt to deal with the loss. In between there are surprises and jumps to a remote Israeli checkpoint maned by four soldiers who get through the monotony of each day telling stories and playing games. Many memorable scenes occur, a soldier dancing with his gun at the checkpoint, a camel walking through the checkpoint, and the final scene which gives meaning to the film’s title, a dance in which the dancer returns to the same place he started. 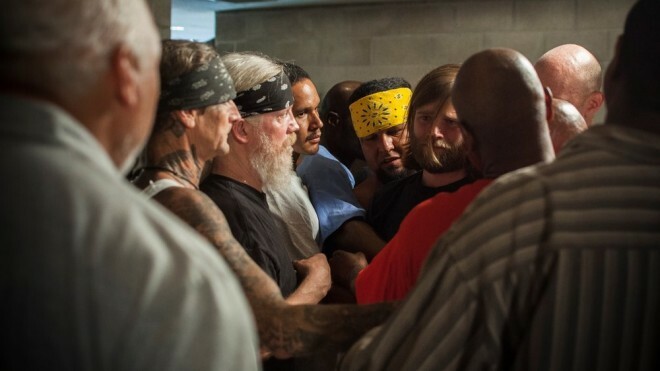 The 2017 documentary, The Work shows three men who visit the California Folsom Prison to participate in an annual four-day group therapy session with current inmates. Many of these inmates are serving life sentences, but are still looking to better themselves, and helping outsiders do the same. We soon find out that the non-incarcerated participants have issues of their own to confront, many stemming from their childhood and parental relationships. The Work literally shows the work involved in breaking down emotional barriers and confronting the ghosts which still haunts many of us. 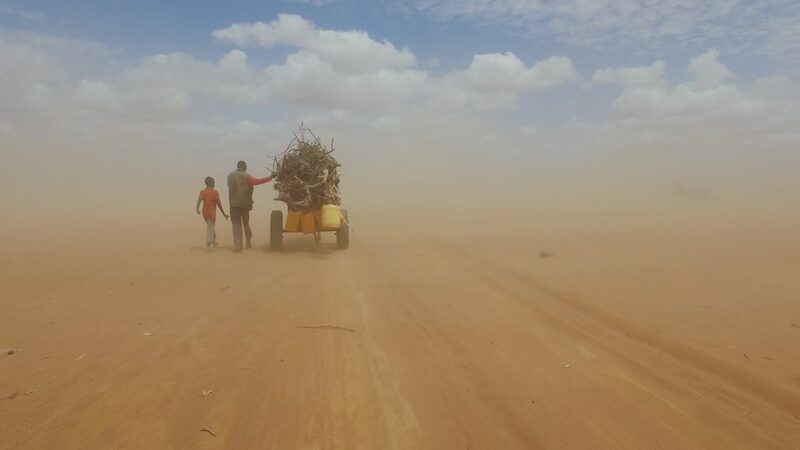 Artist and political activist Ai Weiwei directed the 2017 feature documentary Human Flow about the global refugee crisis. Weiwei travelled through over 20 countries including over the course of one year following people who have had to flee their homeland to escape war and famine. Weiwei gives empathy and humane respect seldom seen for those caught up in the global crisis. Many of the scenes are filmed guerilla style with cell phones or drones, and the interviews Weiwei gives are haunting, in particular one scene in which he tries to comfort a distraught woman, focusing the camera lens on the back of the woman as she cries. There are no easy solutions to the refugee crisis in Human Flow, but by telling this story Weiwei wants the view to understand the plight of refugees, and most importantly to value their lives.